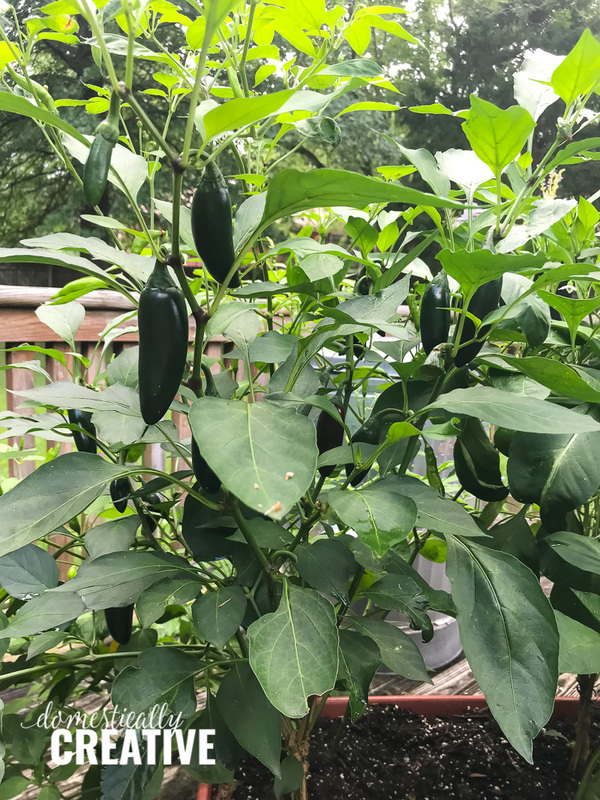 Love jalapenos or have a plant that just keeps on giving? 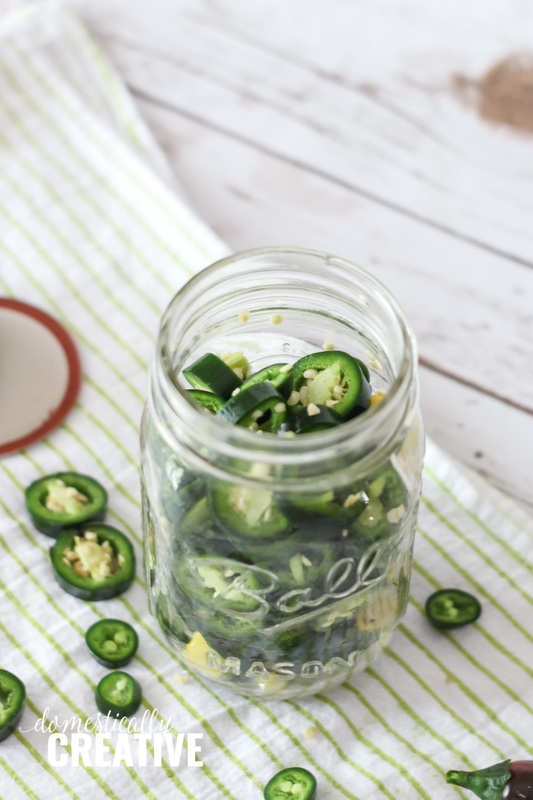 Check out this quick and easy recipe for refrigerator pickled jalapenos! 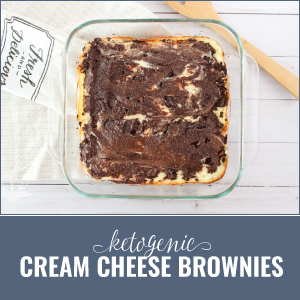 You only need a few ingredients, a mason jar and about 15 minutes for this recipe. This is the first year in a while that I’ve planted any sort of vegetable. I usually have a small herb garden, with your run of the mill oregano, rosemary, basil, chives, thyme, etc, but this year I decided I would plant a few varieties of peppers. I’ll be honest, what solidified my decision to grow peppers was the fact the plants were marked down to 50 cents at Menards. We had several late frosts/snowfalls here in Missouri, so some of the early nursery plants were frostbitten. Lucky for me though, I got 4 relatively healthy looking pepper plants for only $2! They just needed a little love to get going, but man they sure took off quickly! 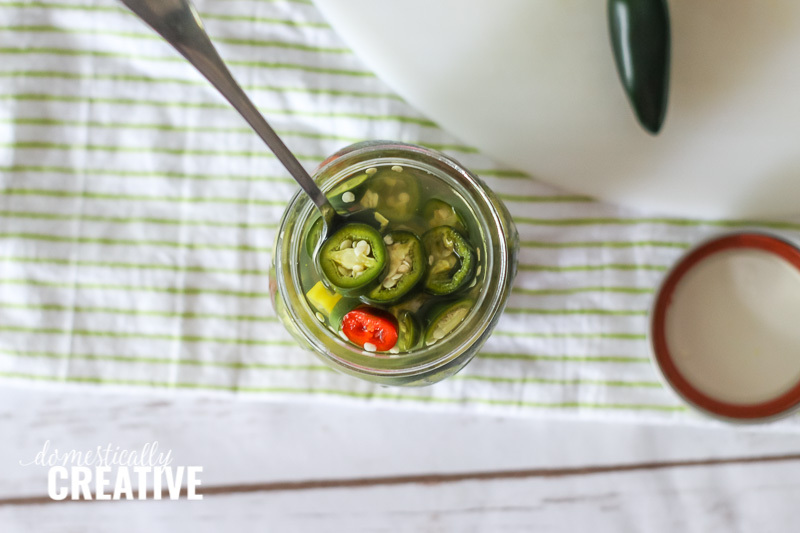 Which brings me to the point of this story–pickled jalapenos! My husband and I can keep up with the bell peppers and banana peppers I planted because we eat them in just about every dish I cook, but the jalapenos were taking up some valuable fridge space. I decided to try making some easy refrigerator pickled jalapenos. I’ve done them in the past, and even pickled some banana peppers back when we had a big vegetable garden. 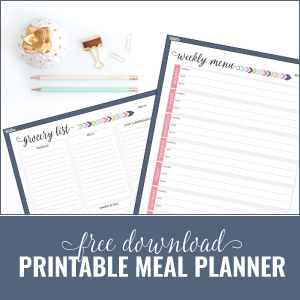 My husband likes to eat pickled jalapenos on his pizza, salad and in eggs so this is a great way to get him to use them up. 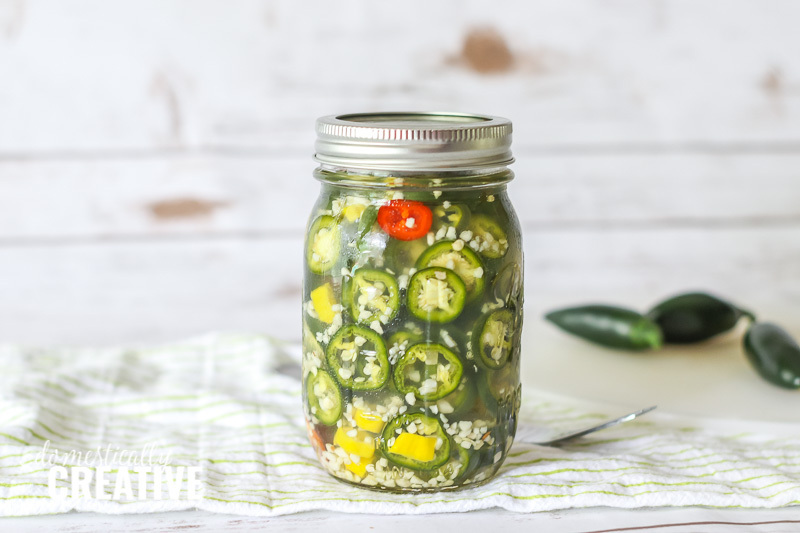 When I made these refrigerator pickled jalapenos, I stripped my plant of every pepper. Would you believe it’s almost ready to have more peppers picked? 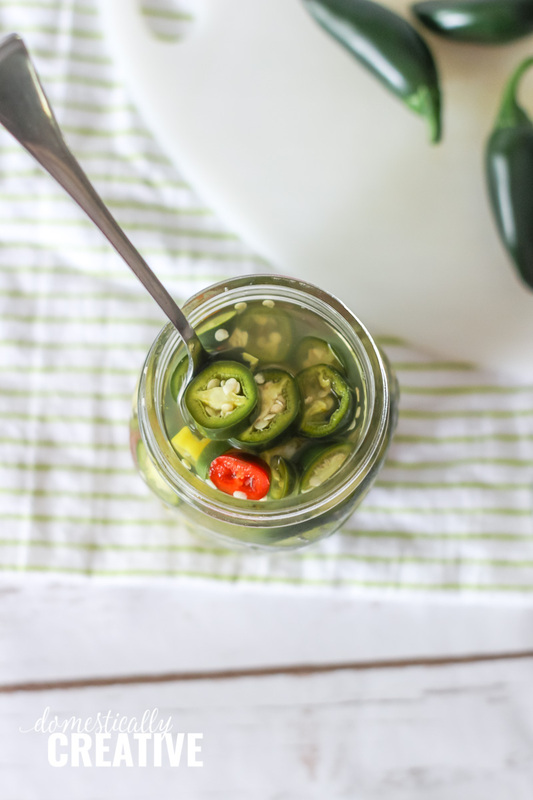 I think I’m going to have to make a second batch of these pickled jalapenos or give some away! Before we get to the recipe, there are a few things I’d like to note. First, if you’ve never cut up hot peppers of any kind, please please PLEASE make sure you wear gloves. These suckers can really burn your hands! It goes without saying, but also make sure you don’t touch your eye or any other sensitive area with your gloved hands either. Second, this recipe does use sugar. It is necessary to get a good brine and it cuts back on some of the heat from the peppers. 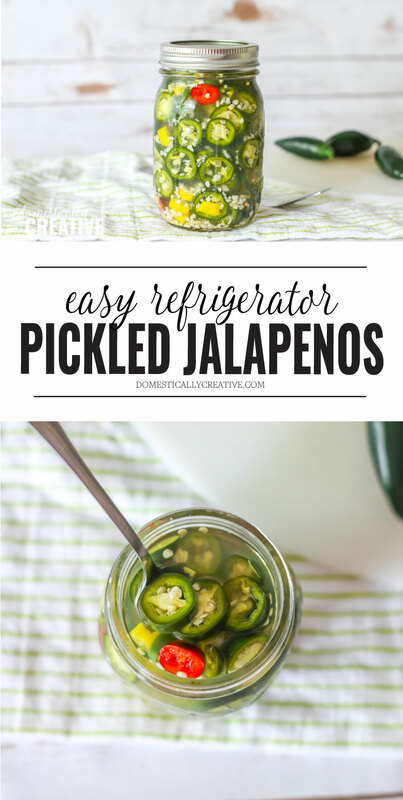 However, I used only 1 tbsp for my refrigerator pickled jalapenos where most people would use 2-4 tbsp. We like it hot! Ok, now that all of that’s out of the way here is the recipe! 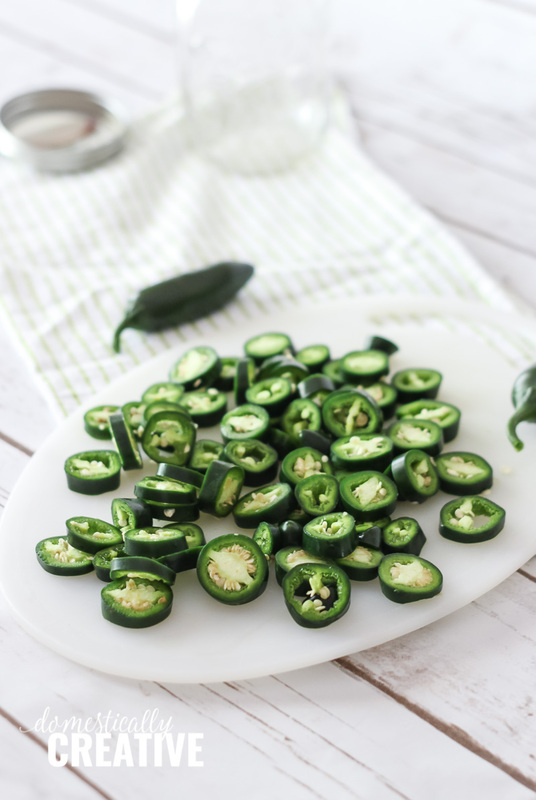 Wash, clean and slice jalapenos into rounds with inner membranes and seeds intact. Wear gloves while doing this to avoid burns! 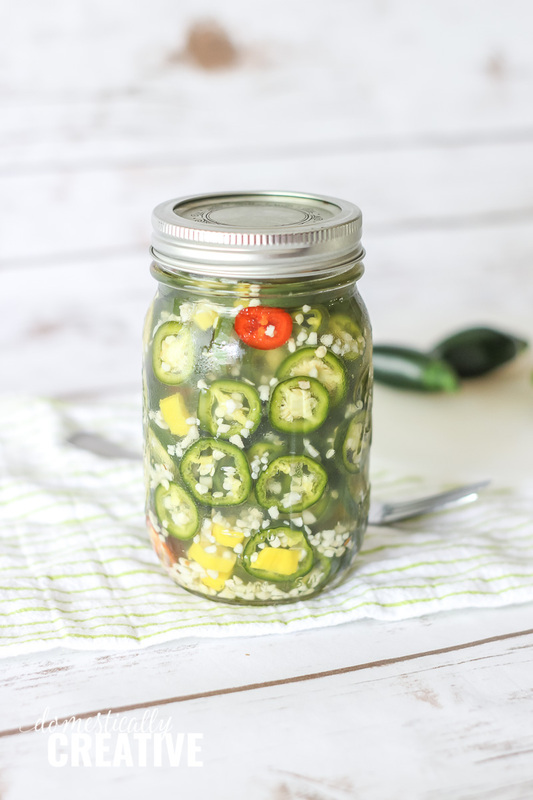 Fill a 12 oz mason jar just to below the neck of the jar with jalapenos, about 1 1/2 cups. In a small saucepan, bring water, vinegar, garlic, sugar and salt to a boil. Stir until salt and sugar is dissolved. Remove from heat and let cool slightly. 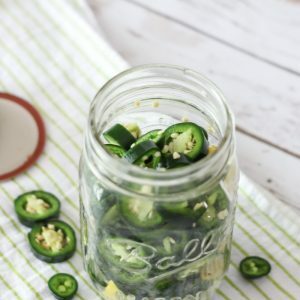 Once brine has cooled slightly, pour into mason jar with jalapenos. Leave some head space in jar for expansion, about 1/2 inch from the top of the jar. 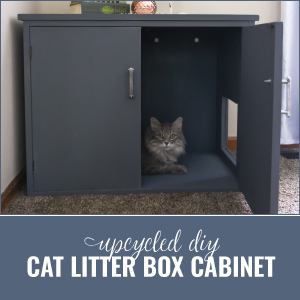 Cover with lid and place in fridge. The sugar is necessary to cut back the heat and make a good brine. I only used 1 tbsp in mine for a spicier pickled jalapeno. 2-4 tbsp is a general rule of thumb based on your preference. Oh, this sounds super tasty! I love hot pickles…pinning for later!